Click on the quiz under Assessments > Quizzes. Click the “Launch LockDown Browser” button. 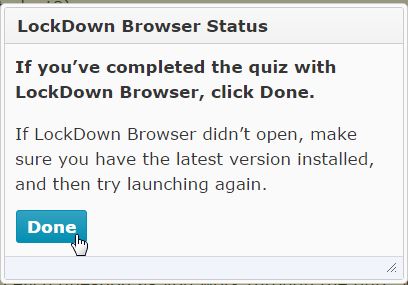 Once you’ve submitted the quiz, you will see another pop-up window titled “LockDown Browser Status,” asking if you are finished with your quiz. If you are, click “Done” to close LockDown Browser and return to Brightspace. Which desktop do I choose? When logging in an on-campus computer, you may be presented with more than one desktop option: Shared Desktop, CSIS Desktop or Sage 50 Desktop. Always choose Shared Desktop. What do I do if the text is too small? If you start a quiz using Respondus LockDown Browser and you find the font too small to read, you can increase the zoom level in your browser. 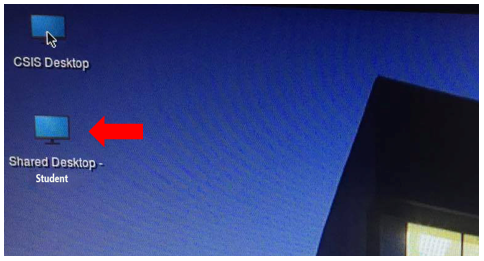 Just click on the “i” icon in the toolbar at the top of the screen. This will open a new window (titled “Respondus LockDown Browser – Information”), where you can adjust the zoom level. Select your preferred zoom level, and then click “Apply,” and click “OK” to close the information window. This will magnify the entire page, including images. To download a PDF file of these instructions, click here.